“I broke a nail!” It’s a cliché often used to demonstrate hyperbolic vanity, but as anyone who takes pride in their fingertips knows, ragged nails can ruin an otherwise polished look. And if with every birthday, you’re noticing an increase in breaks or your nails are just feeling less resilient, you’re probably not imagining it. “As we age, our nails tend to change as our bodies are [naturally] depleted of vitamins and minerals,” explains Shelly Hill, COO of Base CoatSM Nail Salon. In addition to general weakening, she notes, nails can also exhibit less-than-ideal aesthetic changes. These changes are completely normal, but they’re annoying nevertheless. Read on for solutions. Just as once-luminous hair and skin can become parched with age, nails tend to become drier over time. Dryness can eventually lead to cracking (which is unattractive and painful!). To keep things supple, Hill advocates for major moisturization, which will keep the nail itself and the surrounding skin as strong as possible. “[Lotion] should be part of your before bed routine,” she asserts. Additionally, “always rub some cuticle oil on before bed; it will l help with dryness and brittleness.” (Try Caudalie® Hand and Nail Cream, $15, and Deborah Lippmann It’s A Miracle Cuticle Oil, $20). On the other hand, you could be exacerbating already-dry nails via the products you’re using. 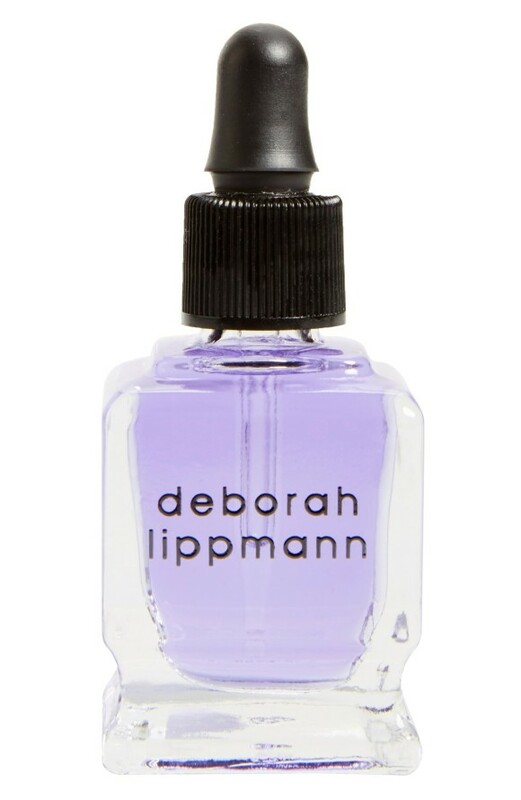 Take a peek at your nail polish remover. If it’s laced with acetone — especially if its a pure acetone formula — it’s robbing your nails of natural oils (and making them more brittle as a result!). Instead, switch to a gentler nail polish-removing formula such as ZOYA® Remove Plus Polish Remover ($10). Similar to how wrinkles can make your makeup appear less smooth, ridges can interfere with a glistening polish finish. That said, divots are a natural part of aging nails, Hill says. Luckily, you can even the playing field in two simple steps. First, try using a gentle buffing block to sand away ridges (but be careful of overzealous smoothing, which can actually weaken the nail). 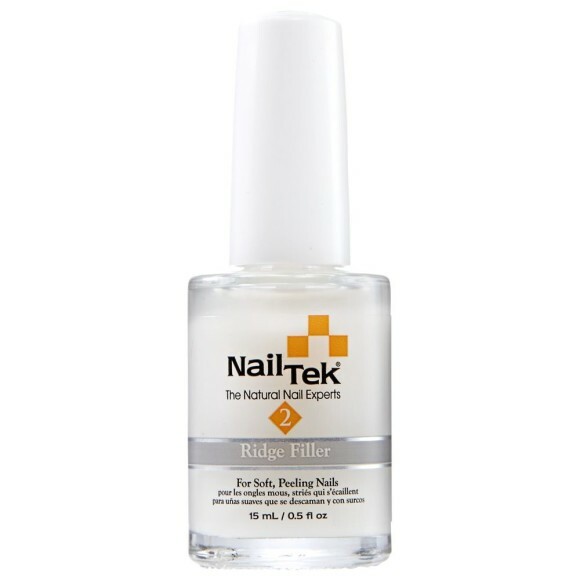 Next, finish up with a good ridge-filling polish, such as NailTek® Foundation ($10), which is Hill’s go-to for creating a sleeker manicure base. Flexibility is good for lotus pose, but it’s not so great when your nails follow suit. Hill notes that nails often become more bendable with age (or with one too many gel manicures!). To harden things up, try using a targeted nail strengthener. Hill loves the NailTek® Intensive Therapy-2 Treatment for Soft, Peeling Nails ($9), which also stops peeling nails in their tracks (and can save your paint job as a result!). If you want to double up on nail strengtheners, top off with a nail care-infused colored polish. We’re partial to the essie® treat love & color line, which contains collagen and promises to rehab nails in a week. Supplements which promise nail strength — including biotin — can significantly strengthen nails when used consistently, says research published in Clinics in Dermatology. As with any medication, be sure to talk to your doc before adding any new supplements to your routine. Switching up your nail hue with polish is undeniably fun, but a nail that changes color on its own could be a warning. (And unlike the other issues on this list, it’s an abnormal one to have.) “A healthy nail will retain its color with age,” Hill says. “If you notice discoloring, it could be from medications you may be taking.” Alternatively, fungus or illness may be to blame for funky colors — in which case, it’s time to head to the doc and figure out the deeper issue.